A few weeks back, on Friday at midnight my team mate set off running in the dark from Kincardine. 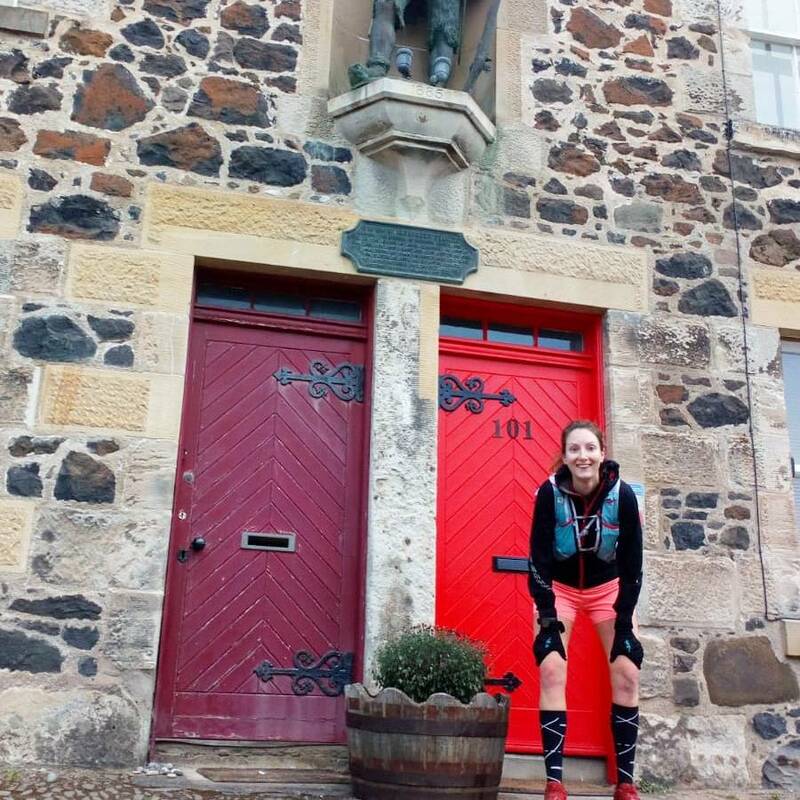 He was one of 12 teams, teams of 6 solo runners, running 116.5 miles in total along the Fife Coastal Path. Just because. This was the second relay I’d signed up to as a Carnethy club member, the first was a little easier – an 11km pootle around the forests just outside Comrie, Perthshire – in both running and logistics. 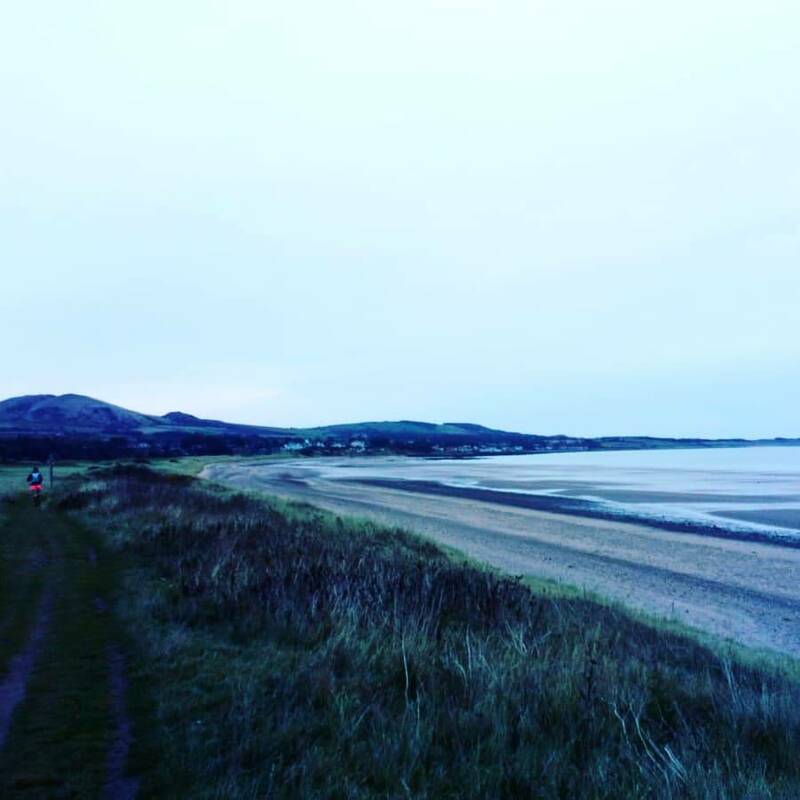 I’ll be honest I had no idea what I was letting myself in for when I signed up for the Scottish Long Coastal Relays but a hint comes from the name, long – 20+ miles and coastal – flat-ish, mixed terrain running, so I have no excuses. It was held a week after our wedding so after finding out I was on leg 3 of 6 and reading long email threads from my team members between writing table plans and choosing flowers, I decided to take as much fuss out of it as I could and make my own way there and back. As my team mate on leg 1 of 6 had started running at midnight and I was on leg 3, we predicted the earliest time I could start running was 5.25am. The race had organised mass starts for each leg at 3 hour intervals, so if my team mate on leg 2 wasn’t with me by 6am I was to set off regardless. Nige and I arrived at what felt like the middle of the night, having set off in the car at 4am, into a very sleepy cul-de-sac in Dysart at 5.10am. I’d tried to eat a jar of overnight oats on the journey but my body couldn’t understand what it was doing and I forced it down knowing I’d need the energy in a few hours time. I picked up my race number from a tired marshal in the back of a car then shuffled back into the warmth of our own, sitting and waiting and watching for the twinkle of head torches as runners passed through. 5.25am came and went. We saw a few runners finishing their leg but we knew more than half the teams had passed through before we’d arrived so as the clock came closer to 6pm we jumped out, knowing it was more than likely I’d be let off on the mass start. The mass start at 6am was anything but on mass. Just me, and Nige for company. We were last but ironically that felt to me like less pressure and as Nige and I set off on the coastal path, with just our head torches to guide us, I knew I just had to do my best to enjoy it. After about an hour in the dark and as we ran through the towns of Buckstone and Leven – which didn’t feel the safest I’ll admit and I’m glad Nige was there beside me – the sun started to appear and light suddenly crept into our path. Nige was on music duty to keep morale up and eyes open, but all he had downloaded on his phone were our wedding playlists so you can only imagine the soundtrack to our early morning run. It’s TMI but understandable that my body wasn’t quite ready to run 20 miles having got up at 4am without a loo stop, so having run on while Nige crept into the bushes I kept running and waited until we spotted a lit-up garage and begged the poor guy in charge for use of the bathroom. Quite literally, we were flying from then on! Through the pretty fishing villages of Lower Largo – where we stopped for a few photo opportunities, including one with Robinson Crusoe himself – along the sands of Largo and Shell Bay, until we dropped from the clifftops, through the golf course into recognisable Elie – a beautiful seaside spot we’d visited a few years ago and completed the Chain Walk. From Elie we had about 5 miles to go, but it always seems that when the miles tick down they become longer! We’d seen no other runners out, a few dog walkers maybe, but otherwise it was just Nige and I, a perfect way to spend a honeymoon one might say! As we passed Newark Castle on the coast we spotted our finish line, the Auld Kirk and community of St Monans. Our destination was the car park on Rose Street and as we came down to harbour level and continued up the windy streets of the village we spotted the sign and headed in the direction of the change-over point. I knew it would be a little anti-climatic – the mass start of leg 4 at 9am had been and gone so there was no real handover, just a solo marshal in a car who handed me water, a banana and a beer as we stopped our watches. What an incredible morning, I was surprised at how much I’d enjoyed it! The coastal path, when it’s sandy and you’re right by the sea, is darn beautiful, you just have to blinker your eyes a little when passing through the less pretty towns in the early hours of the morning. I’d definitely be tempted to sign up to a different leg of the race next year, or just explore another stretch of it in training. It’s (quite) well marked, very run-able and passes through many little villages you could stop off at for a coffee/snack on route! 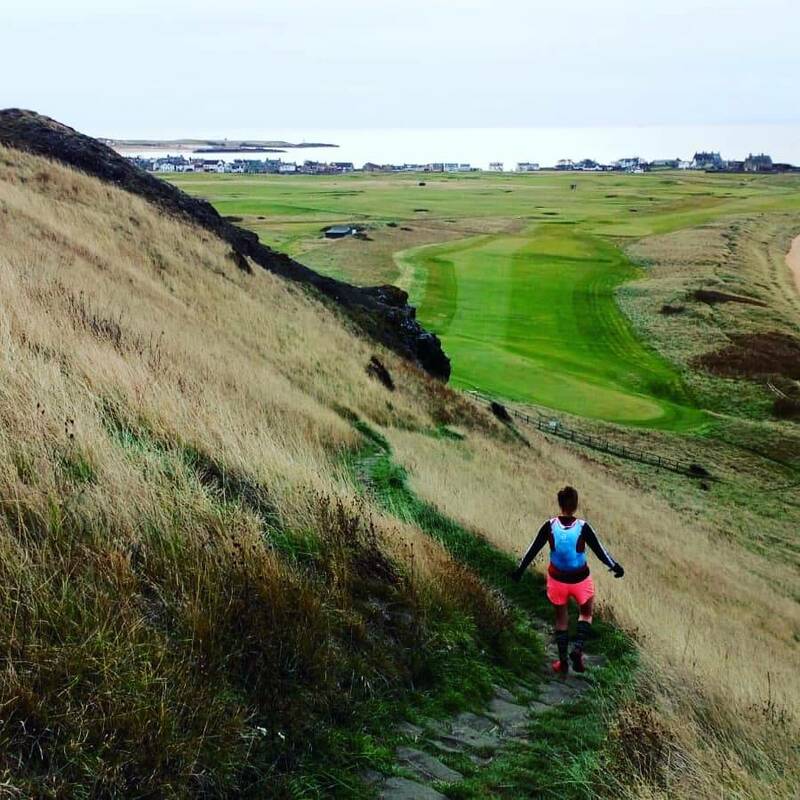 Have you enjoyed the delights of the Fife Coastal Path or taken part in a long distance relay?